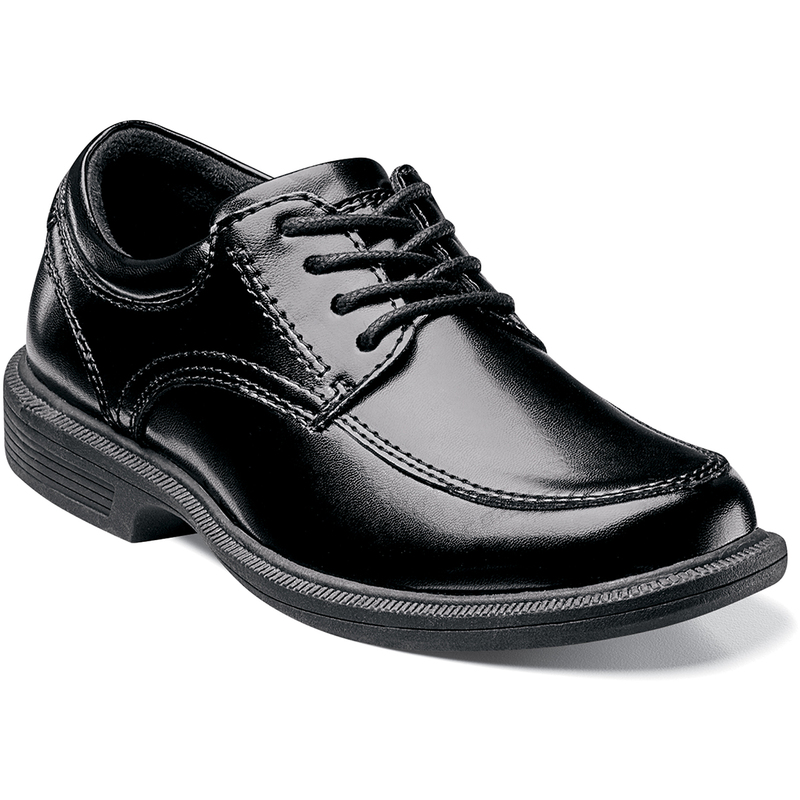 Kids Shoes | Black Moc Toe Lace Up | Nunn Bush Bourbon Street Jr. The Bourbon St. Jr. is a moc toe lace-up. The linigns are breathable fabric.